I’ve just come back from a week at Rosia Montana in the beautiful Apuseni mountains of west central Romania. I was representing London Mining Network at the annual Fanfest festival, a wonderful example of popular resistance to corporate mining. 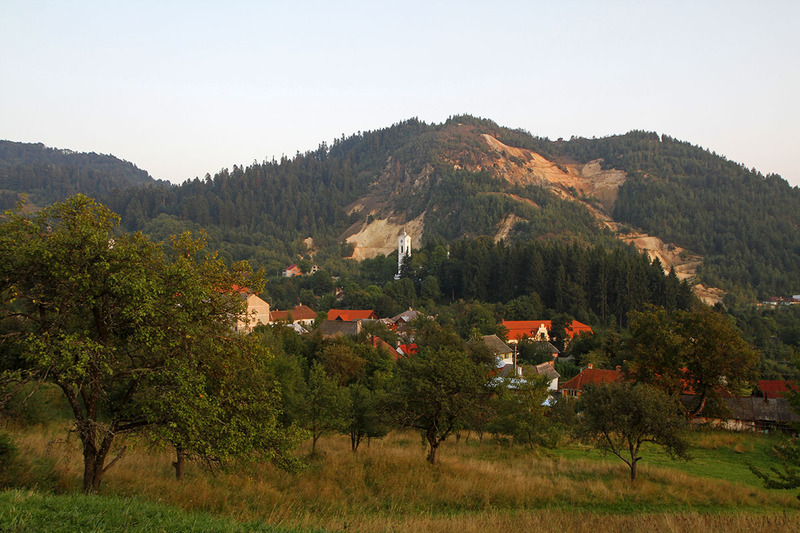 Rosia Montana has a long tradition of gold mining going back thousands of years. There are hundreds of kilometres of tunnels inside the surrounding hills, many of them dating back to the Roman occupation in the second and third centuries. The town owed its prosperity to deep mining. The last phase began in 1971, when the state-owned mining company shifted to open pit mining. Some of the scars left by that deeply destructive form of mining can be seen in the photo above. Mining opponents propose that the whole area be designated a UNESCO world heritage site and that tourism and farming would provide a better living for local people than open pit mining – a living that would go on into the indefinite future rather than for only a few years and would protect the mining heritage, the architectural heritage and the environmental heritage of the area. 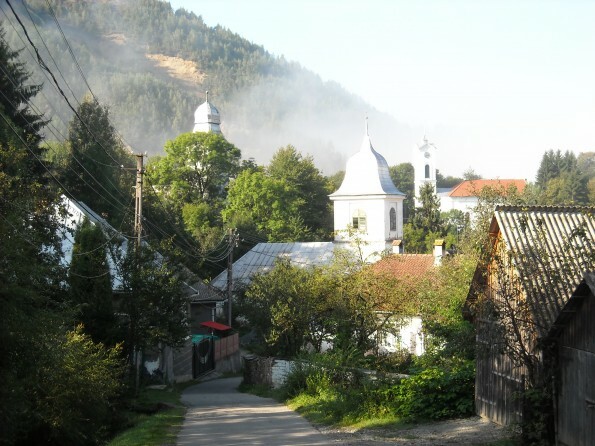 They have started an ‘Adopt a House‘ campaign to raise money to restore buildings in Rosia Montana as an act of resistance to the mining company. 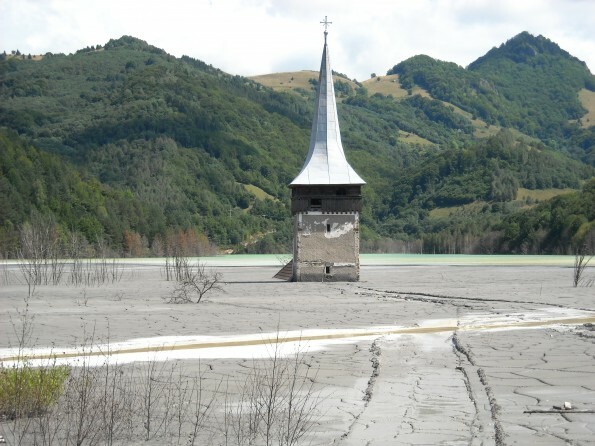 Mining opponents have also used legal cases, nationwide street protests, lobbying at national parliament and European Union level, film, music and social media to protect Rosia Montana. The annual Fanfest brings together thousands of people to celebrate music, photography, film, traditional crafts, art and architecture, and to learn more about mining issues and community struggles. Representatives of mining-affected communities came from Spain and Turkey. I spoke about struggles in Bangladesh, Colombia, India and Peru, the work of LMN, and London’s crucial role in financing destructive mining around the world. There were workshops about how to use crowd funding, e-petitions, email campaigns and other techniques to build support. Most of all, Fanfest was tremendously positive, enormously hopeful: it IS possible, through building widespread support, to hold destructive projects at bay – and Romanian activists have done so! 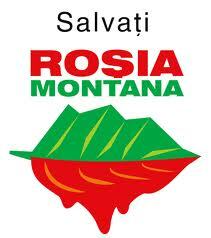 I salute all in the Save Rosia Montana campaign and Miningwatch Romania for their wonderful work – and all those who worked so hard to organise this year’s Fanfest.